On August 17, 1967, Ali (aged 25) married 17-year old Belinda Boyd. After the wedding, she converted to Islam and changed her name to Khalilah Ali, though she was still called Belinda by old friends and family. They had four children: Maryum (b. 1968), Jamillah and Liban (b. 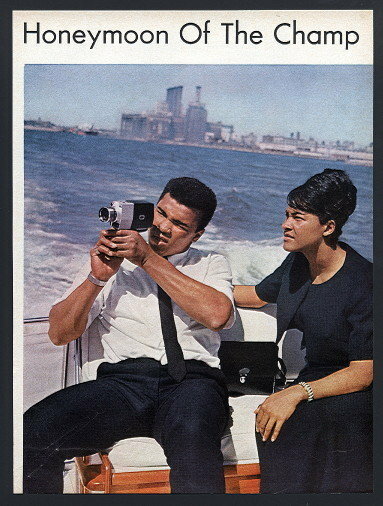 1970), and Muhammad Ali Jr. (b. 1972). Belinda Boyd was 17 years old when she married Muhammad Ali. 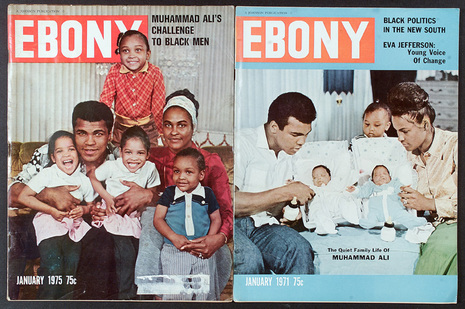 They had four children together: Maryum, twin daughters, Jamillah and Rasheda, and Muhammad Ali Jr. They divorced in 1977. She was the only real Muslim Wife of Muhammad Ali and was with him during the most exciting and eventful time of his life. Khalilah 'Belinda' Ali (maiden name - Belinda Boyd) is best known for being the second wife of American boxer Muhammad Ali. Belinda Boyd and Muhammed Ali were married on August 17, 1967. She was 17 years old when they were married. After the marriage, she changed her name to Khalilah Ali in accordance with Muslim traditions; however, she was still called Belinda by old friends and family. She filed for divorce in 1976 after suffering the humiliation of Muhammad Ali's very open infidelity with Veronica Porsche. The divorce was finalized in 1977. They were married for just under 10 years. In the movie ALI, starring Will Smith, the role of Khalilah 'Belinda' Ali was played, in her film debut, by Nona Gaye, daughter of soul music legend Marvin Gaye.